This week, two fathers will make their way to the PlayStation 4, while Switch-owning fathers will have to deal with the cardboard machinations of their children. After playing God of War 3 again a couple years ago, I really didn’t think I could get excited about the series ever again. 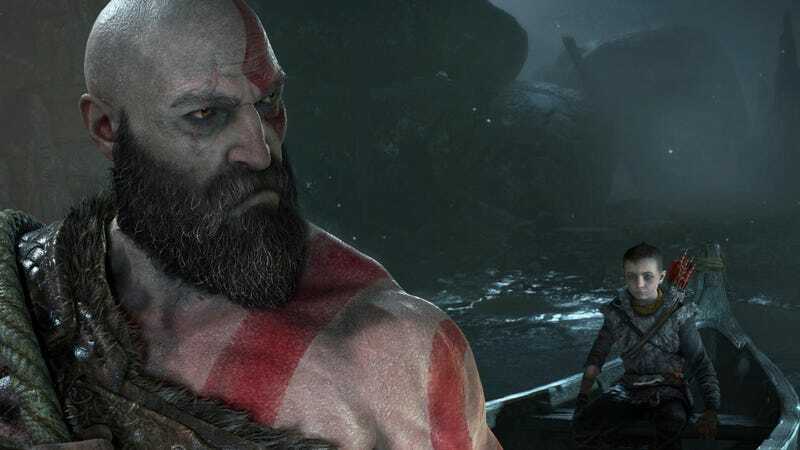 I was still cold on the big reveal of bearded Papa Kratos, thinking, “Nope, not gonna fall for it.” And then five minutes into our very own Tim Rogers’ video about the new game, I was hooked. The tone, the setting, just the look of this game. Damn you, Sony Santa Monica. I thought I was out and you pulled me right back in. Once I surface from my God of War binge though, I’ll be eyeing that new Yakuza. I’m very ready for a new tale in the life of Kazuma Kiryu, another (adoptive) dad. I’d also love to take some Labo for a spin, but my cat really likes to chew on shiny new things, so I think I’ll just try a friend’s out instead of buying an expensive new chew toy.